Standard commercial wireless routers are designed to create a network between a number of computers by sending and receiving messages and acting as mediator. These message packets are sent and received using omni-directional antennas which send the signal in all directions at a roughly even level. By contrast, directional antennas focus the signal in one particular direction while sacrificing signal strength in other directions. Unfortunately for consumers, ordinary routers do not possess very powerful antennas and the range is practically limited to 50-100 feet indoors and maybe twice that outdoors if unobstructed. The cantenna is designed to address the need for a cheap antenna capable of extending the range of a wireless router. It is a directional antenna consisting of a metal can, coaxial cable with an N-type connector, and an adapter to attach the coaxial cable to the router itself. You can order the cable, pigtail and connector from this site (http://www.fab-corp.com/) among others. You can also probably find adapters for the more readily available BNC cables the department uses. 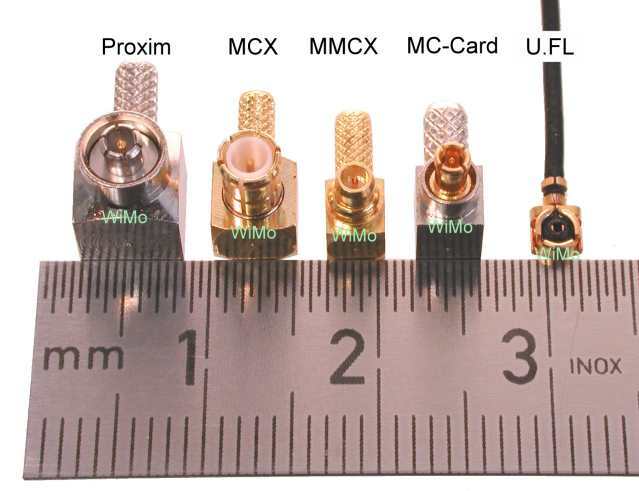 If you’re feeling particularly ambitious you might be able to jury-rig a coaxial cable connector using another kind of coaxial cable (UHF,BNC,etc.) and get that to work. However you decide to do it, you will be hooking the router (or network card) to the pigtail, the pigtail to the N-type connector and mounting the connector to the can according to some equations I’ll talk about in a bit. The can acts as a waveguide antenna, using the metal conductive properties of the can, and taking advantage of similar characteristics of coaxial cables to reduce the amount of signal loss. The signal from the copper wire can go both forwards and backwards. Those waves directed backwards, bounce of the bottom of the can and then combine with the original forward-oriented waves. By positioning the copper wire antenna a correct distance away from the bottom of the can, one can line it up with a node where the forward and backward-oriented waves combine for the optimal signal strength. This data was taken using an iPod Touch with the Stumbler application installed. This application reports the strength of any wireless router signals it sees. The units for this test are not included and may not actually represent anything more than a relative measurement. The largest magnitude, however, that I found for a signal was 76 and the router disappeared from those seen when it dropped below 10. These data points were taken in the soon to be old science center in the physics department hallway. As such, there may have been disturbances along the way related to other routers or essentially any other electromagnetic devices. Even with this basic test, one can see a few points (~40m and ~70m) where signals tended to increase regardless of cantenna design. In long-range testing, the signal strength drops off pretty quickly after 100 meters but more importantly stays above 10 before disappearing at a distance of 365 meters. This sample run was done using the pirouettes can and walking away from the router until I lost the signal. I am limited, however, in a good way by an insufficiently long distance to test things out. As it was, I was walking downhill towards the end and there was a significant amount of earth and some trees impeding the line of sight when the signal started to really die. Under better circumstances, this distance would likely improve, giving at least 1/4 mile with potential for even better results. •	Add a dielectric to the interior of the can. Perhaps the original form of the Cantenna (a dummy load consisting of a paint can filled with mineral oil and transmission fluid) would be about right. •	Use two cantennas, attached with coaxial cable as a repeater to get around objects (buildings, mountains, etc). Point one at the source signal you’re trying to send and the other in the direction you’d like the signal to be transmitted. Probably the most helpful from a simple how-to perspective was Turnpoint.net complete with an applet for calculating appropriate distances.